Enclave - ft, 4 bedrooms, 3 full & 1/2 baths, 3 car garage, RV parking, tile floors t/o, huge family room w/ cozy fireplace, formal living & dining room, gourmet kitchen has a plethora of counter top space & cabinets, walk in pantry, all appliances & eat in dining area, a refreshing pool & spa, & covered patio. MLS#2081419. BHHS Nevada Properties. Amber Ridge At Mission Hills - Great two-story home w/4 beds, 3 baths & huge loft located in the desirable "Amber Ridge"*Open Kitchen w/Granite counters, R.O., island, pantry & eat-in nook*Full bed & bath downstairs*Huge bedrooms w/walk-in closets*Versatile loft*Large Master suite w/walk-in shower, dual sinks, garden tub & enormous walk-in closet*Shutters*Covered patio*Artificial grass backyard w/water feature*3 car garage*Kinetico water softener*All appliances included MLS#2080832. Irving Realty. Crystal Springs - Location, ez freeway access, close to schools, shopping, strip/airport, 3BR up plusLoft and 4th BR&BA suite down, formal LR/DR combo shown at game rm w/pool table, spacious fam rm opens to kitchen w/island, plenty of cabinets &pantry, overlooking an outdoor oasis complete with stamped concrete patio, large patio cover and incredible above ground spa w waterfall, bluetooth speakers and LED lighting! Spacious backyard! HURRY! MLS#2080518. Coldwell Banker Premier. Silverado Trails - Nearby shopping, schools, parks and more! MLS#2081378. Coldwell Banker Premier. Maryland Le Baron - I would make a quick appointment because this home won't last long! MLS#2081335. GK Properties. Brighton Village - This House Is Close To Schools, Shopping And Parks. MLS#2081340. Genesis Realty Group. Crystal Springs - Oversized Lot With Private Rear Yard At The End Of A Cul De Sac!call Us Today! MLS#2081275. LIFE Realty. Bermuda & Pyle South - *Includes Fridge & Washer/Dryer. Solar Panels! So Much More! MLS#2080884. TR Realty. Silverado Trails - Water filteration system. NEW ANDERSON WINDOWS. Solar screens. MLS#2081229. General Realty Group Inc.
Cactus Maryland Seasons - ***4 bedroom home*** come see today! MLS#2081273. Realty ONE Group, Inc. Crystal Springs - Call Today To Schedule A Personal Showing MLS#2080875. Realty ONE Group, Inc.
Lamplight Gardens - Home is ajacent to community park and all its additional parking with an easy stroll to the pool/spa, mailboxes, playground, basketball ct. Don't miss this one. Home Warranty included MLS#2081211. Urban Nest Realty. Cactus Bermuda - Hurry Before This One Is Gone. MLS#2081817. Signature Real Estate Group. 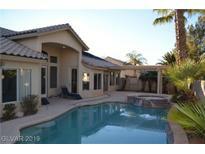 Silverado Hills - Be one of the first to view this gem! MLS#2077477. Platinum R.E. Professionals. Silverado Courtyards - Don't miss out on this award winning builder, sought after floor plan, and sparkling pool just in time for some summer entertaining! MLS#2079843. Keller N Jadd. Ebbets Ranch - Ceiling Fans in all rooms, Separate Family room & Formal Living room & Dinning Room, master bed is away from all other rooms, Fireplace MLS#2080677. Compass Realty & Management, L.
3 car garage! All appliances included. MLS#2081180. Rossum Realty Unlimited. Crystal Springs - Adorable Silverado Ranch Home With 4 Bedrooms And 3 Baths, Plus A 3 Car Garage, Family Media Niche With Cozy Fireplace In Family Room, Large Kitchen W/ Tile Counters, Pot Shelves, Ceramic Tile And Wood Flooring, Large Covered Patio, Convenient Access To Nearby Parks, Dining, Shopping And Much More. A Treat To Show!! ! MLS#2080684. Lyons Share Real Estate. Crystal Springs - Clear Mountain view, Geat location near freeway access, shopping, McCarran airport, local casinos, good schools & parks. MLS#2079405. Go Global Realty. Maryland Cactus - Community pool. Spacious kitchen! Come view today! MLS#2081169. BHHS Nevada Properties. Cactus Bermuda - Ceiling fans/lights in all bedrooms and living rooms. Front porch entertaining area. MLS#2081305. Simply Vegas. Crystal Springs - Cool off in the SPARKLING BLUE pool just in time for summer!! THIS ONE WON'T LAST! ! MLS#2080729. Maxim Properties. Aspendale Silverado - Conveniently located next to shopping, restaurants & freeway. MLS#2080536. GK Properties. 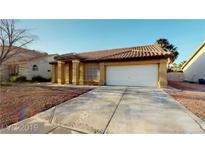 Silverado Pines - Near Las Vegas Blvd/15 freeway, schools, shopping centers, restaurants and all fun places. MLS#2080722. Wardley Real Estate. Liberty At Silverado Ranch - Nice neighborhood wtih wide streets, and extra parking spaces for guests. MLS#2080745. iProperties International.